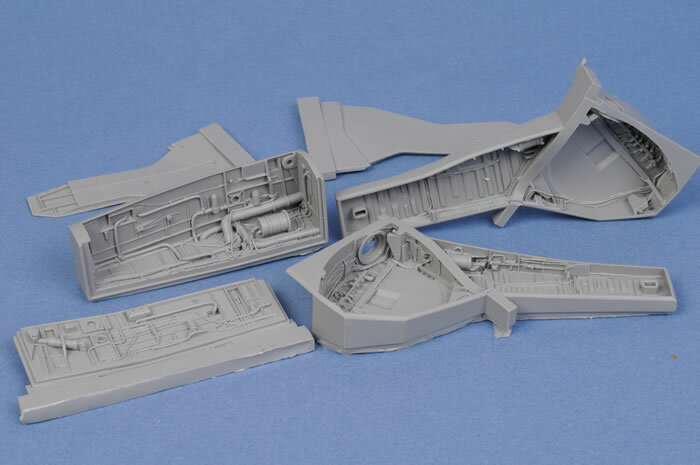 Aires has released a replacement front and main wheel bay replacement set for Trumpeter's 1/32 scale F-105D and G Thunderchief kits. The 30 parts are presented in Aires' familiar grey resin. Detail is remarkable, especially in the large main wheel bays, with plumbing and wiring all cast in place. Casting quality is also first class, with no imperfections obvious on my sample. 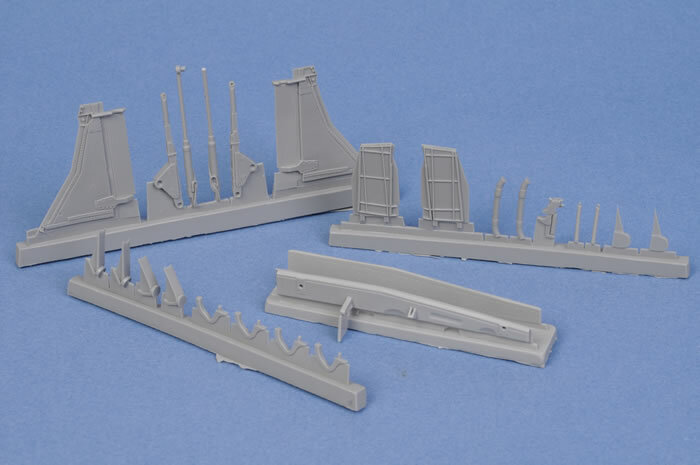 In addition to the beautifully detailed bays, this set also includes replacement main gear doors. Although this is a fairly straightforward detail set, some experience will be helpful in preparing the parts. 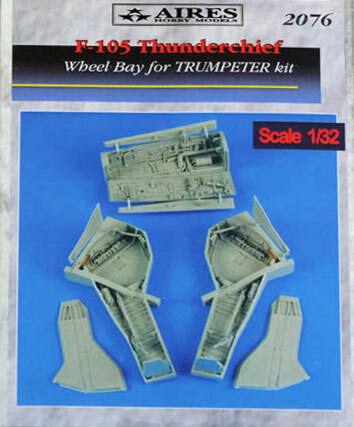 Aires' 1/32 scale F-105 Thunderchief Wheel Well set will offer a great improvement to this area of the Trumpeter kits.